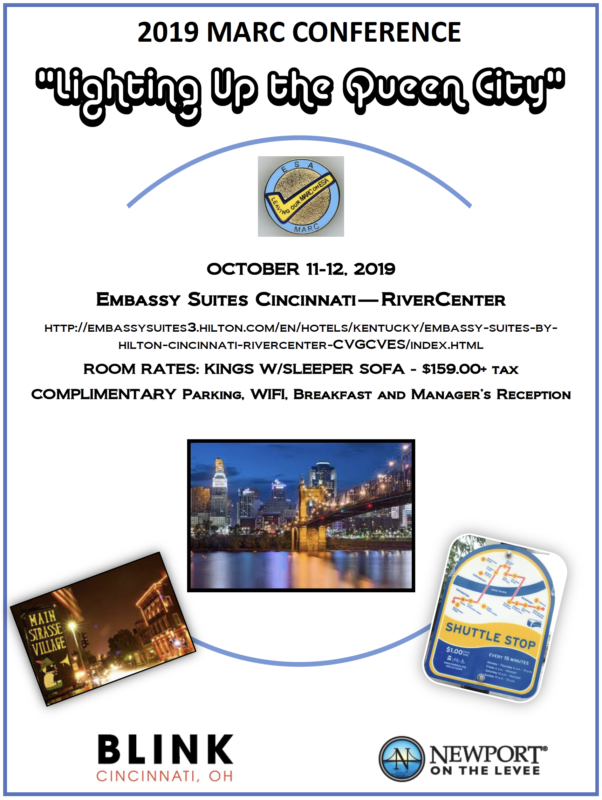 The 34th Midwest Area Regional Conference (MARC) will take place October 11-12, 2019 in Covington, Kentucky and Cincinnati, Ohio! Early bird registration prices are available. Room rates for a king-sized bed and sleeper sofa are $159 plus tax. The hotel includes complimentary parking, free wifi, and manager’s reception. MARC is also taking place during Blink Cincinnati, a free 4-day festival featuring large-scale architectural and interactive art projects! Click here for the registration form: 34th Midwest Area Regional Council Conference Registration Form.